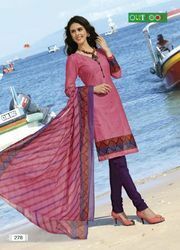 We manufacture and supply quality assured range of Dress Material that is designed with utmost accuracy. 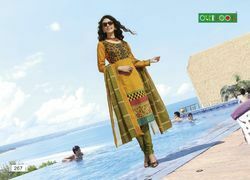 They are acclaimed for their elegant looks and creative patterns. They are well-tested before the final delivery. vedam is pure cotton Jacquard printed dress material. with chiffon sleevs nd chiffon dupatta. bali is pure cotton printed dress material .